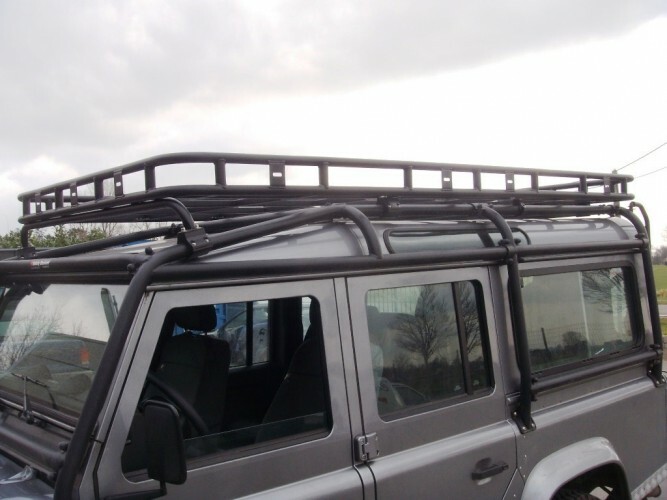 Full luggage rail 'Explorer' roof rack for mounting to Safety Devices roll cage. Available in two sizes: 2.0m x 1.4m and 2.8m x 1.4m (shown in these photos). 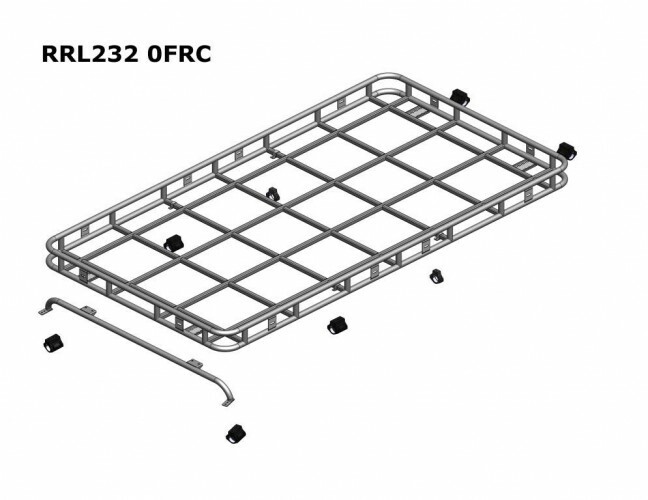 Also available as a short luggage rail version (for side loaded tents) and a long luggage rail version. 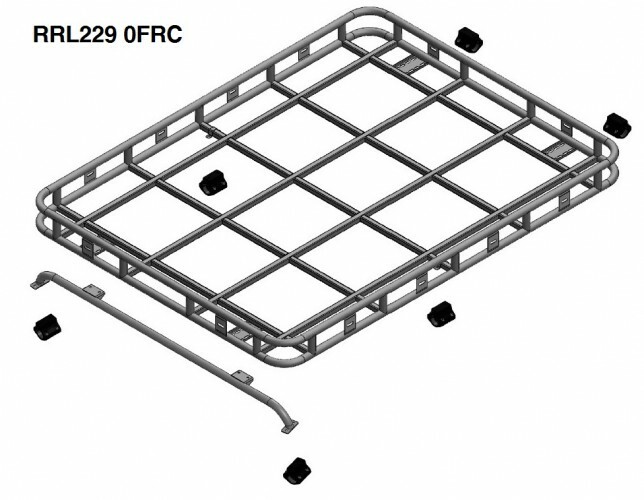 RRL229 0FRC - 2.0m x 1.4m roof rack with full luggage rail, for mounting to external roll cage. 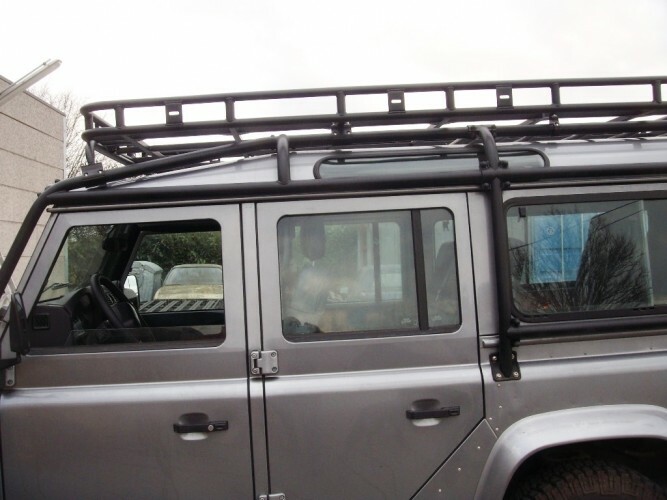 RRL232 0FRC - 2.8m x 1.4m roof rack (shown in these photos) with full luggage rail, for mounting to external roll cage. 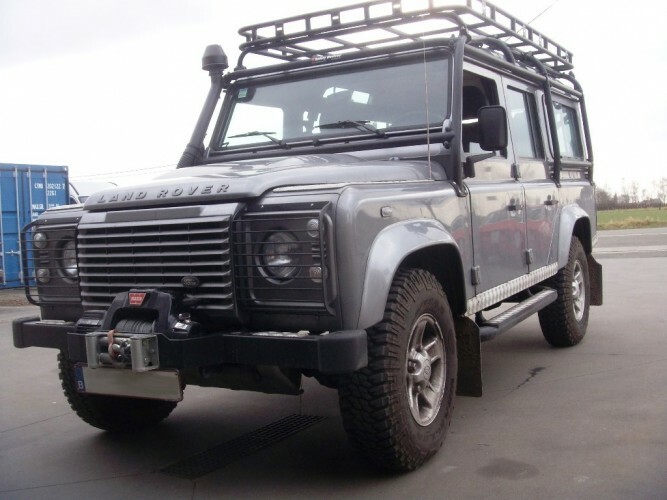 Heavy duty steel roof rack, grit blasted, primed with a zinc enriched powder undercoat, and finished with a durable black satin powder coat.